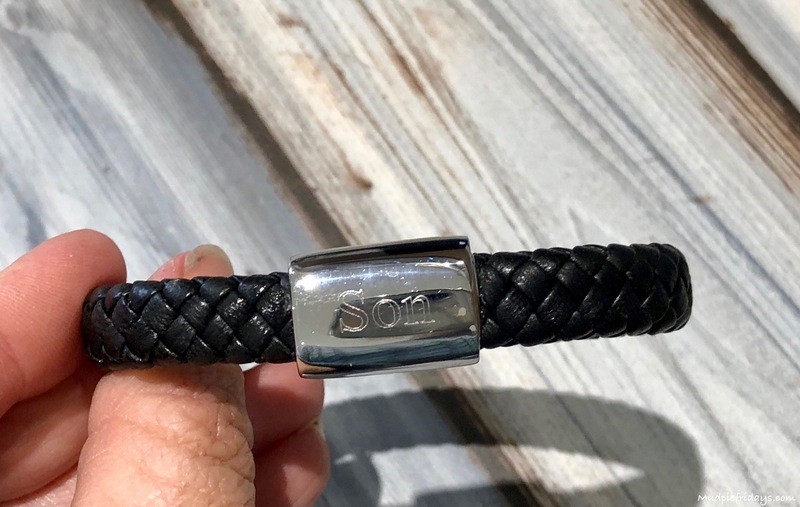 Daddy & Me Leather Bracelet Set Review: Its not long now until Fathers Day which is the 17th of June this year. After several years of being a Daddy I now find it difficult to choose something for Hubby which is different. 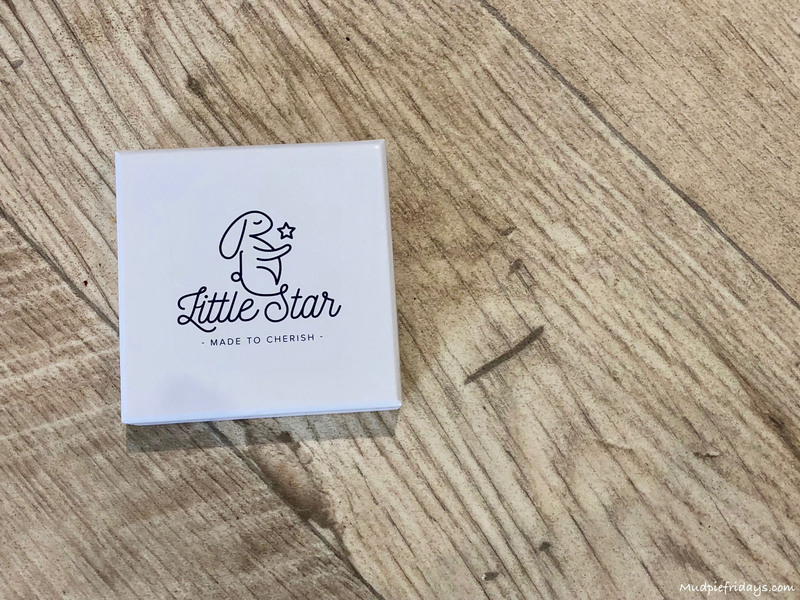 Having worked with Little Star Jewellery before I was very excited by their new Daddy & Me offering. The selection of silver chains with cross pendants and leather bracelets with stainless steel fastenings. Are designed to be modern and stylish. To be worn at any time and most importantly to match the special little person in their life. 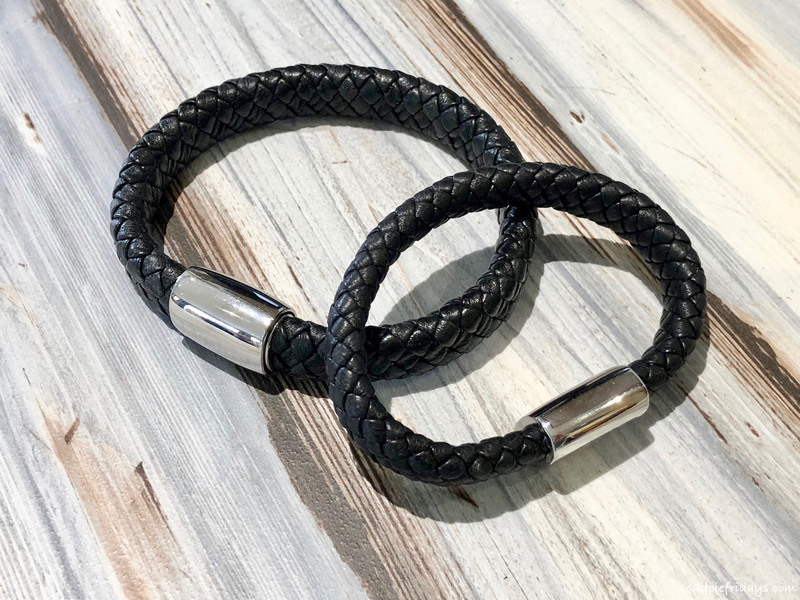 For Hubby I opted for a Daddy & Me Leather Bracelet Set. Like the other jewellery available on the website its possible to personalise both bracelets. I opted to have Daddy and Son engraved onto the stainless steel fastening. Its possible to have up to eight letters on each bracelet. The adult version measures 22cm, the child’s 18cm. Little Stars Jewellery suggest that the child’s bracelet is suitable for children aged 5-12 years. Monkey is coming up six and the bracelet is a good size for him. He can take it on and off without unfastening but its not loose enough to fly off when hes playing. I was really happy with them when they arrived. Both come individually boxed so would make a perfect gift. Beautifully wrapped in turquoise sparkly (almost star like) tissue paper. Even the box has stars on the inside and there is also a little gift bag. My initial impressions was that they were much better quality than I imagined they would be. The brown leather is thick and chunky, which makes me think it will stand the test of time. The fastening is magnetic which means Monkey can take it on and off by himself. Both Hubby and Monkey really like their bracelets. They are comfortable and easy to wear. Hubby has been travelling a little for work more recently so its nice for him to have something from the boys to take with him. It also works for Monkey who misses his father when hes away. 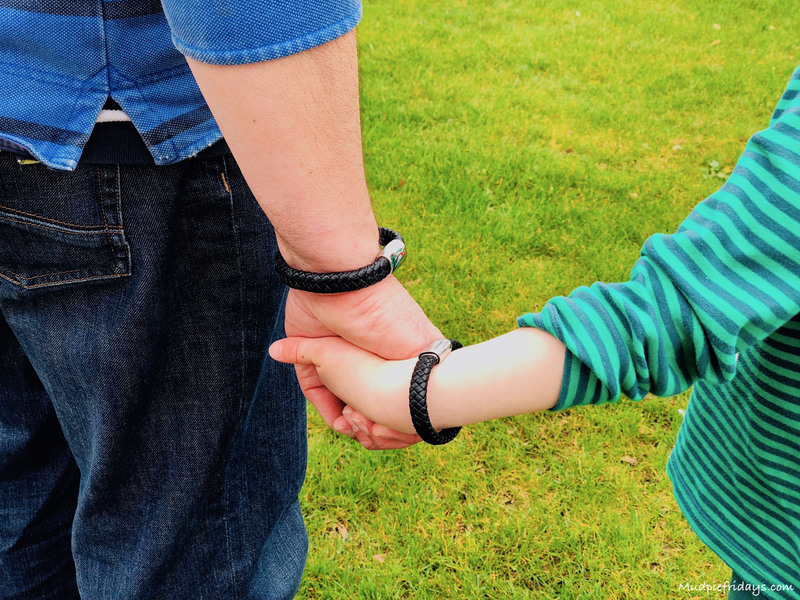 The idea of matching jewellery for Daddy and child. There is also a great selection for some Mummy & Me options too. The packaging is lovely and really gives the feeling of opening something special. I really like that its a UK based company, set up by a husband and wife duo who got their inspiration from a night sky in Greece. Wanting to harness the beauty of the stars in the jewellery. Little Star Jewellery also have a wide selection of jewellery designed espically for children. Ideal to mark that special occasion such as a christening, birthday, their first day at school or just as a simple to gift to say I love you. 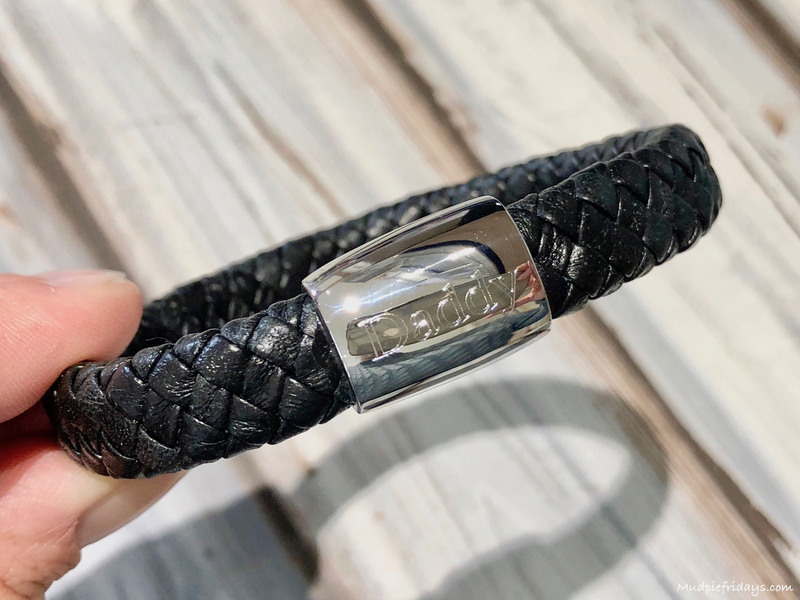 The winner will be drawn at random and will receive their own Daddy & Me Leather Bracelet set like the one we reviewed in this post. Lovely gift for Father’s Day. My daughter would love to win thus as she misses her daddy lots as he often travels away for work. Love how sentimental value of these bracelets, lovely gift for fathers day and a lovely keepsake of a special bond. What a wonderful idea for Father’s Day – my son would love wearing the mini one! Thanks for the great prize and competition – ideal for Fathers Day! 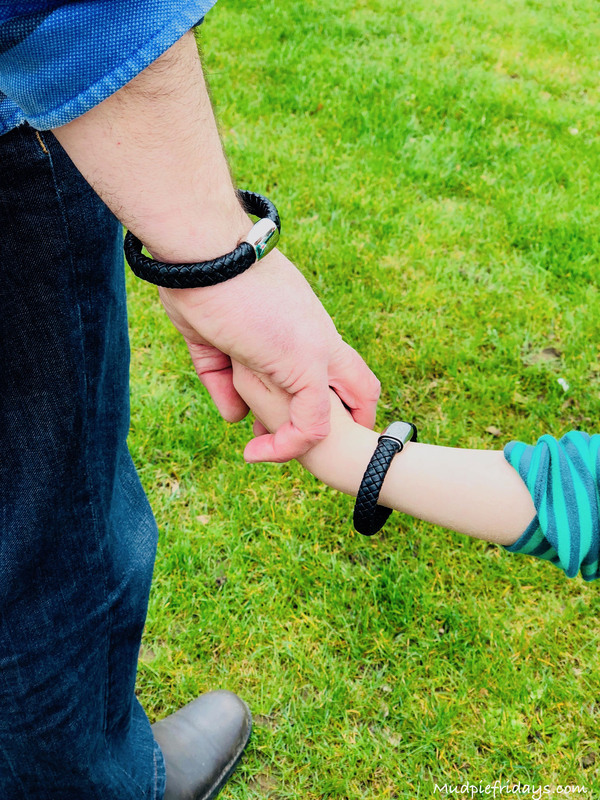 This is such a cute idea – mummy and me jewellery is so popular and it’s lovely for the dads to have a chance to get in on it too! It’s so sweet to be able to look down and see something that reminds you of your children – I love it whenever I’m away. This is so lovely and I would love to treat my brother in law and nephew as he is a great dad and they are really close! This is such a amazing idea and perfect gift for Fathers Day, I imagine when dads have to work away and he looks at this to give him happy thoughts of his little one at home wearing theirs too. A lovely father day gift. I think fathers would treasure these as it is personalised and, the whole idea is encouraging to see ? My brother has a young son, rascal, and the pair would really suit them. A lovely gift for my son and grandson! What a lovely idea. I haven’t seen them before so am grateful for the review and giveaway. Thank you. Love this for my husband and son. he may not be his biological daddy but the bond they have is unbreakable. love how this bracelet looks. My son & grandson would adore this set!..they have a few outfits that match & these would be a lovely finishing touch so cool & trendy!